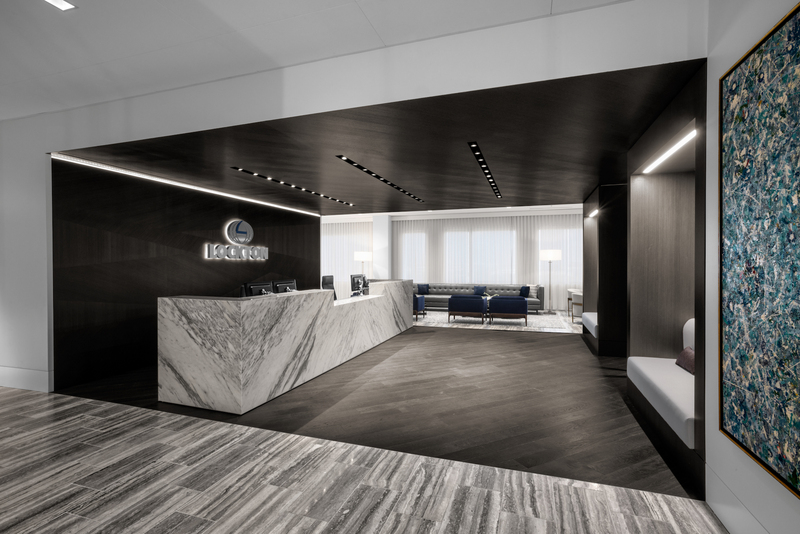 After a recent acquisition, JLT, a leading provider of insurance and related services, needed to reduce its Houston office footprint without affecting employee morale or productivity. 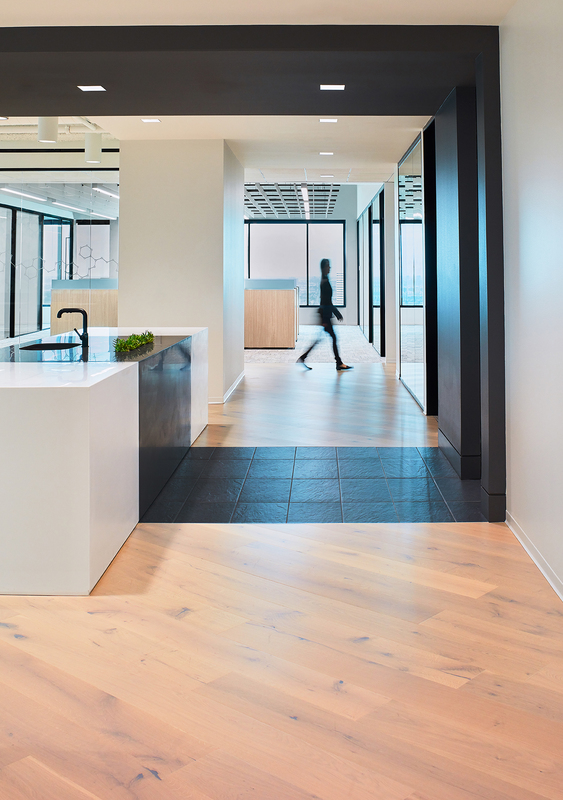 JLT was ready for a radical change – a move to open workstations for every employee, including the local managing partner. 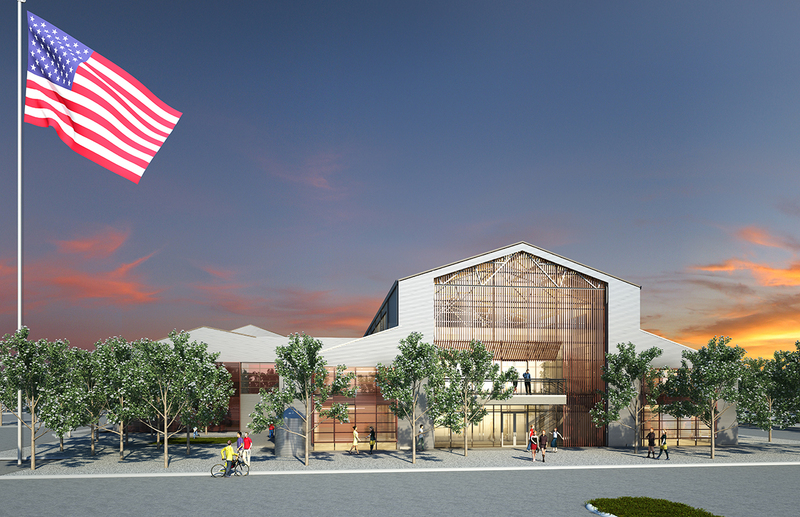 Abel Design Group was charged with a delicate balancing act, developing a design strategy for a technologically advanced and elegant, multi-functional environment that maximizes amenities while maintaining a moderate budget and reduced square footage. 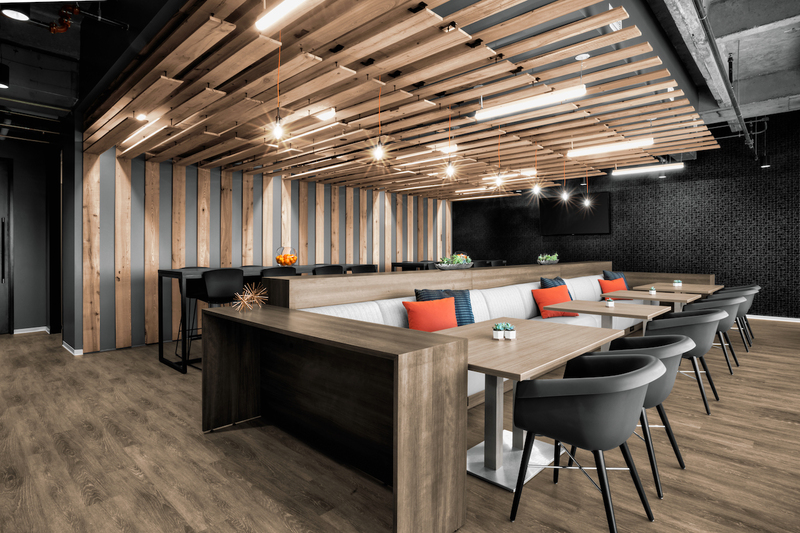 To compensate for the loss of private space, the two designated workstation areas were separated by an island of tech-infused meeting rooms and shared facilities to minimize noise and maximize collaboration. 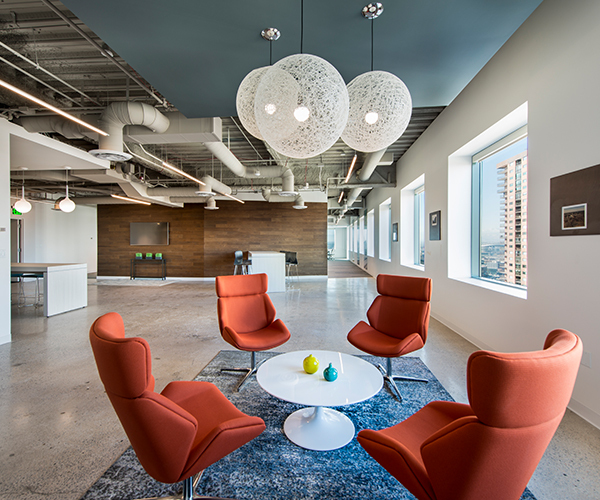 In addition, the new break room space centers around the breathtaking views of downtown Houston, one of the main natural assets of the office location. As a client-centric business, the space also needed to contribute to the credibility of the brand. 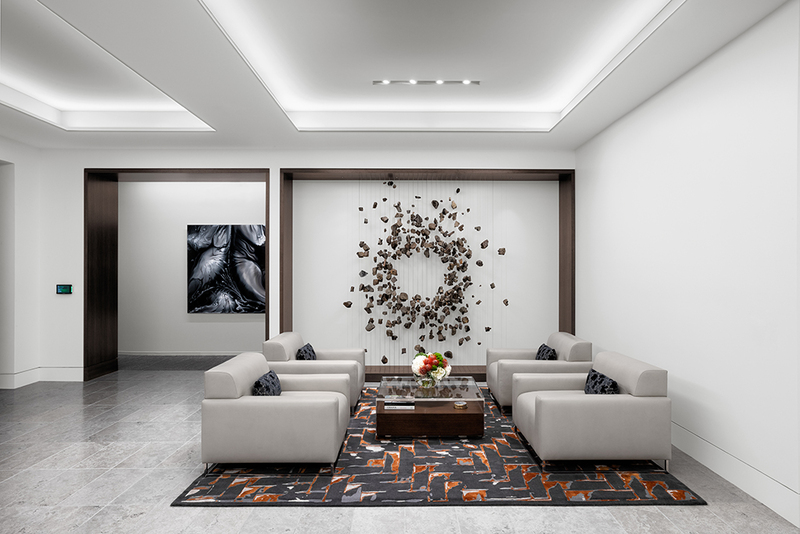 Emphasis was placed on delivering a polished reception area that could double as event space, and conference rooms that include state of the art technology.